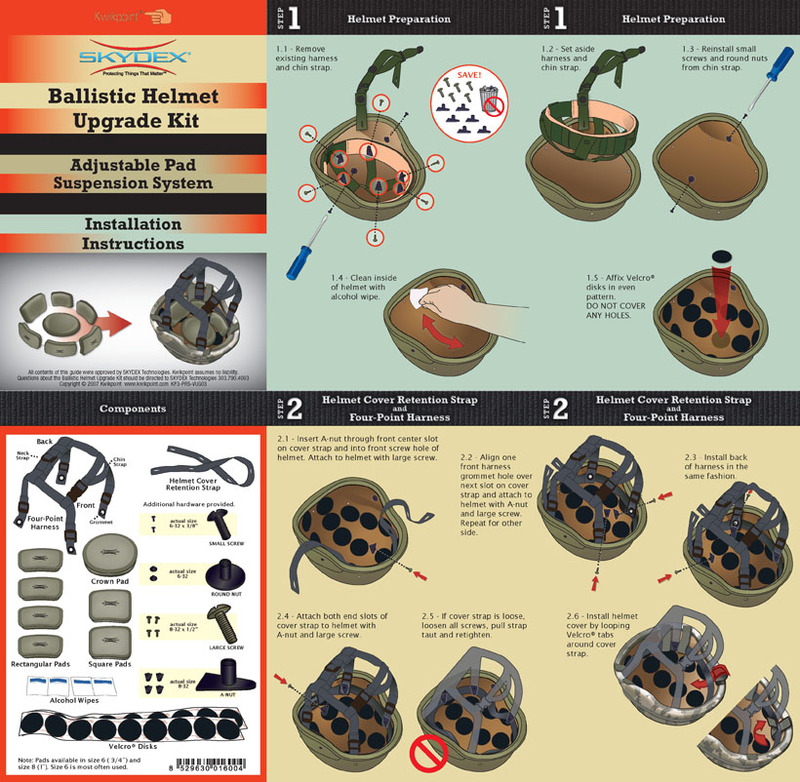 This visual manual is used to install an much more protective padding system in the standard issue helmet. It includes an description of the various pads that are used, how to install them, how to install the retention strap and four-point harness, and a proper fit guide. 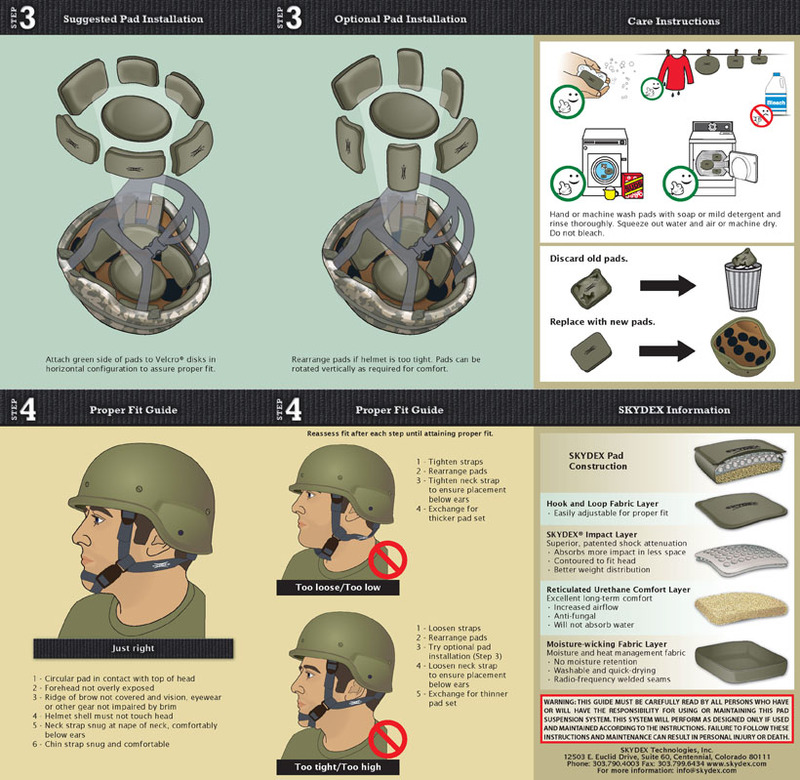 Designed to protect the warfighter from head injuries, particularly concussions, this pad suspension system performs as designed only if properly installed.